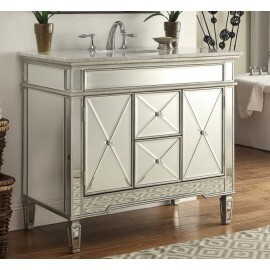 Contemporary style single sink vanity with imperial white color stone countertop, oval white color p.. 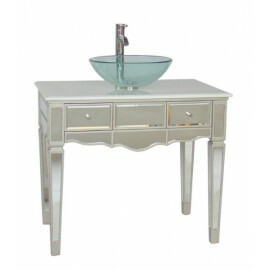 Contemporary style single sink vanity with white color stone countertop, oval white color porcelain ..
Add a touch of sophistication to your bathroom with this modern Ariel sink vanity. 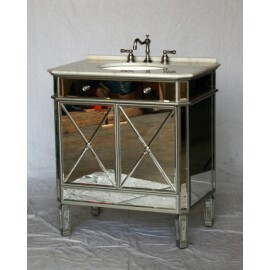 In addition its l..
Add a touch of sophistication to your bathroom with this modern Adelia sink vanity. 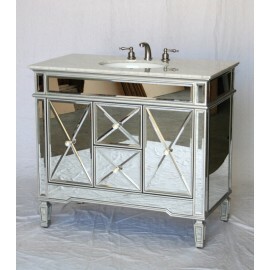 In addition to&n.. 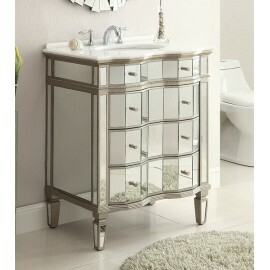 This petite mirrored vanity will add elegance and function to your bath. 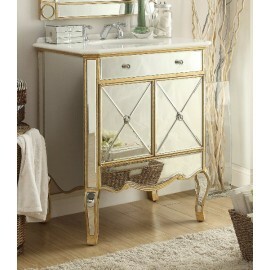 A luxurious Carrera marble .. 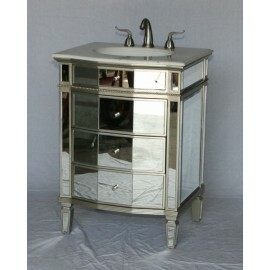 This petite mirrored vanity will add elegance and function to your bath. 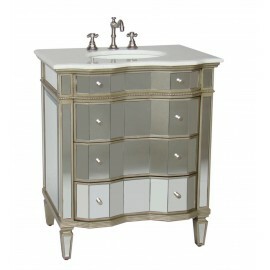 A luxurious Carrera ma..
Give your bath an extraordinary customer look with this beautifully crafted piece. 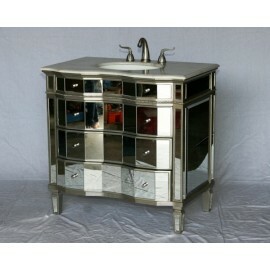 This lovely mirro..
Give your bath an extraordinary custom look with this beautifully crafted piece. 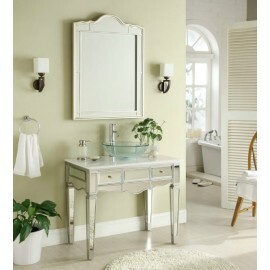 This lovely mirrore.. 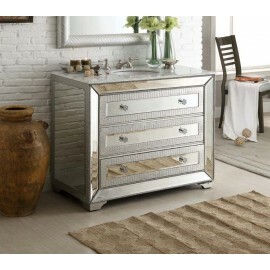 The Reflections Ananti Cabinet features a smooth, finished design that showcases large mirrored pane.. 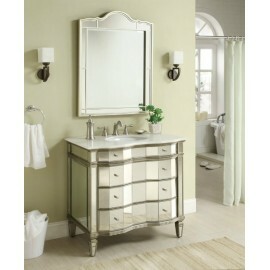 This mirror Reflections powder room Asger bathroom vanity features a smooth, transitional style and .. 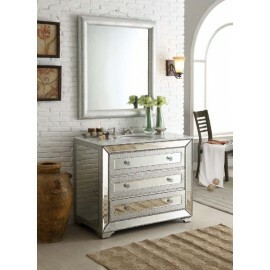 The mirror Reflections powder room Asger bathroom vanity features a smooth, transitional style and l.. 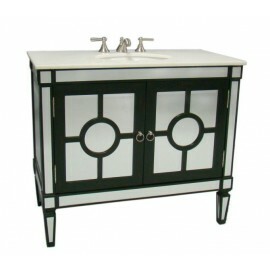 The Benton Collection of Regency styled mirrored furniture casts a sophisticated nod to any room in ..
White undermount porcelain sink Deep drawers (three) Crystal white marbletop 3 holes - 8" s..
Ashley meets contemporary classic in this exquisite creation worthy of an empress. 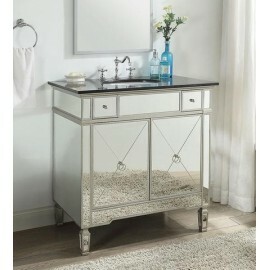 This vanity provi.. 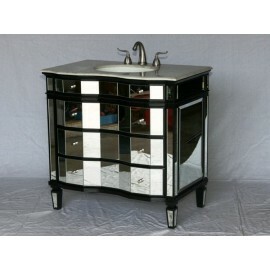 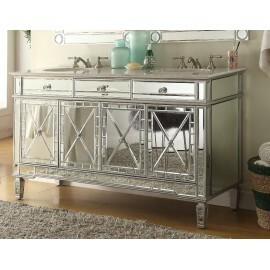 This wide mirrored double sink vanity will make a dazzling addition to your bathroom. 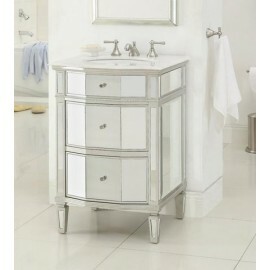 Its luxurious .. 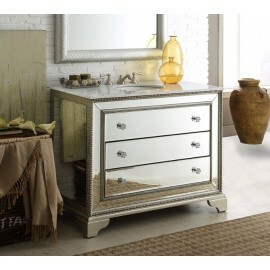 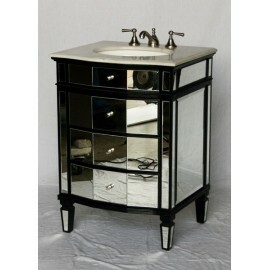 This all mirror inlaid petite bathroom vanity is perfect for any powder room. 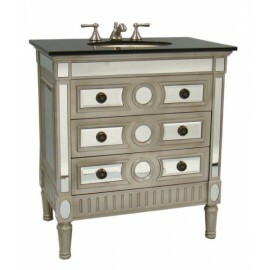 Two large drawers with..
Add a touch of sophistication to your bathroom with this modern Ashmont sink vanity. 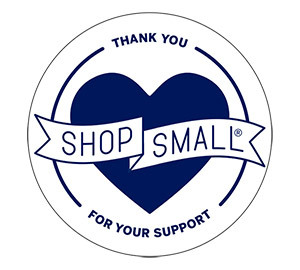 In addition to .. 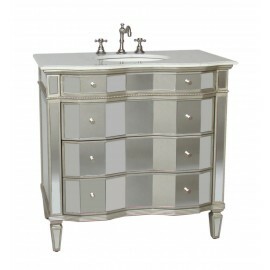 The Benton Collection of Regency styled mirrored furniture casts a sophisticated nod to any room ..
Give your bath an extraordinary custom look with these beautifully crafted pieces. 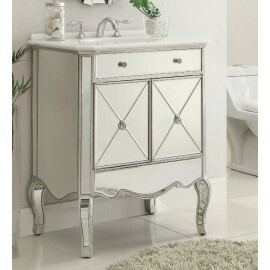 These lovely mirr.. 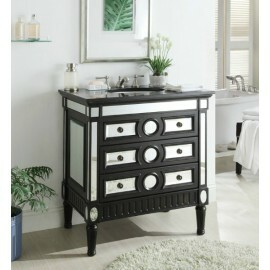 Fully Assembled by the manufacturer, sink and countertop pre-installed Black marble countertop ..